As was one option of the Brighton Main Line RUS the current franchise is, from May 2008, to be integrated into but will continue to be a separately branded premium service and retain facilities for airline passengers. 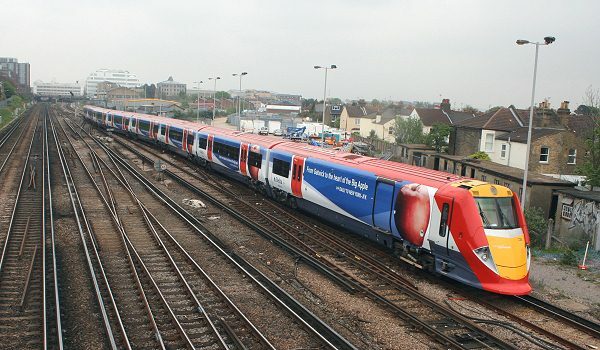 From December 2008 there will be a revised service with peak workings running to and from Brighton using 10 car trains. It is expected that at the very least these 10 car workings will use class 442 units recently withdrawn from . Though details of the type of units actually working Gatwick Express services in the future - how they will remain separately branded yet be diagrammed both efficiently and have no adverse impact on the tight nature of the Brighton line timetable, or the remainder of the operation, has yet to emerge (if indeed yet decided). As part of a wider fleet cascade Southern will release its remaining class 319 "Thameslink" units to to increase capacity. will be leasing an additional twelve new-build class 377 units to make up for the loss of the class 319s. More information is available from the Department for Transport website - please click here.